It’s been a busy past five days in Southern Germany. 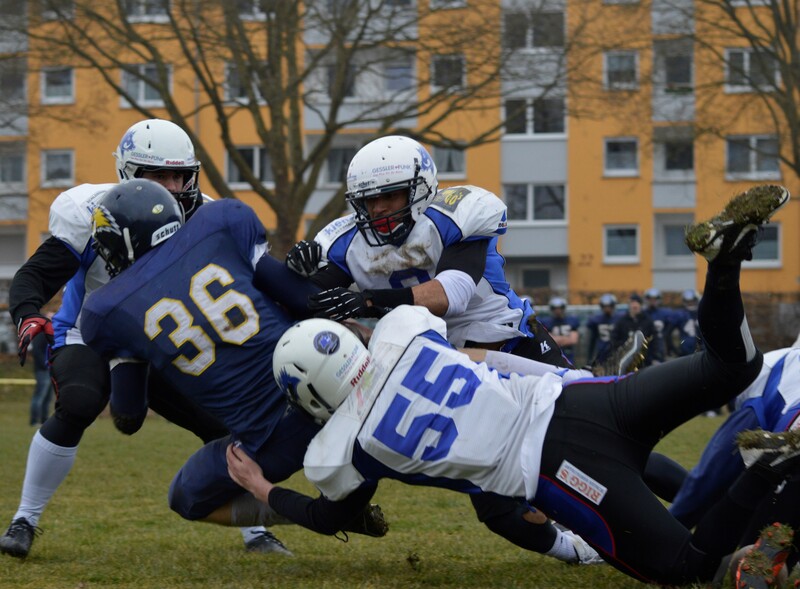 Thursday, our American import quarterback finally arrived and Friday we drove an hour north for a two-day camp at the sports school in Albstadt. 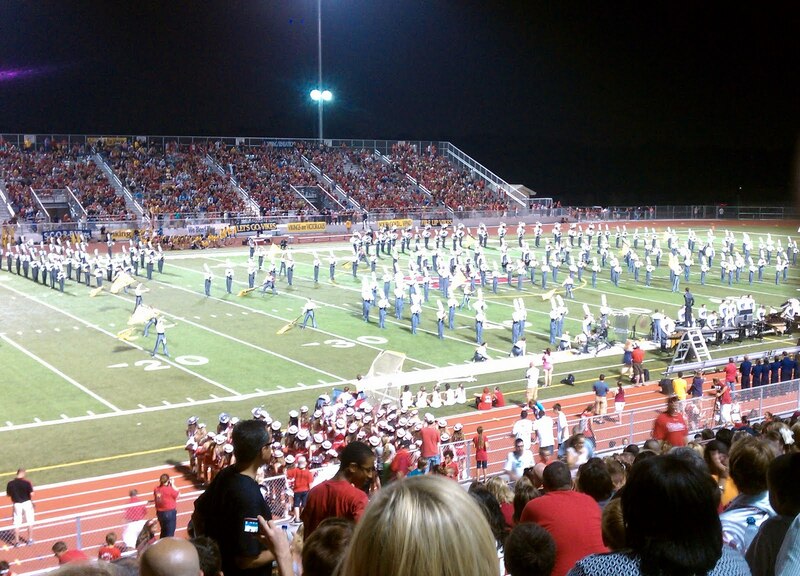 A sports school consists of a campus made up of gyms, weight rooms, a swimming pool, practice fields, tennis courts and meeting rooms; alongside a cafeteria, a hotel and a sports bar. These don’t exist in the US since every high school has athletic facilities, but are quite common in Europe. 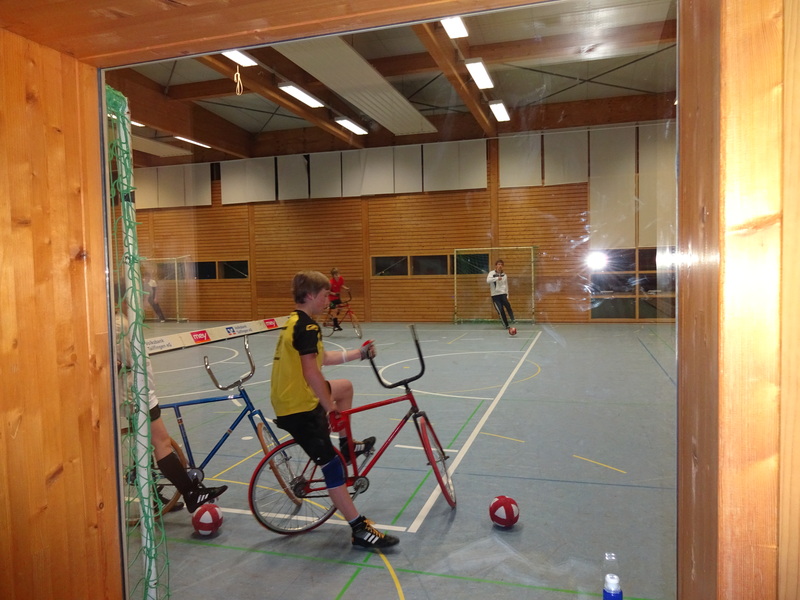 Teams from many sports clubs will rent space in the school for team camps and retreats. The Razorbacks shared the facility this weekend with a swim team, a team handball team, a group of older people doing Tai Kwan Do, some young girls doing gymnastics on bicycles and boys playing soccer on bicycles…Yes, this really is a thing. Friday we had team meetings and film sessions. Saturday was a morning practice, followed by a film session, lunch, a special teams meeting and afternoon practice. 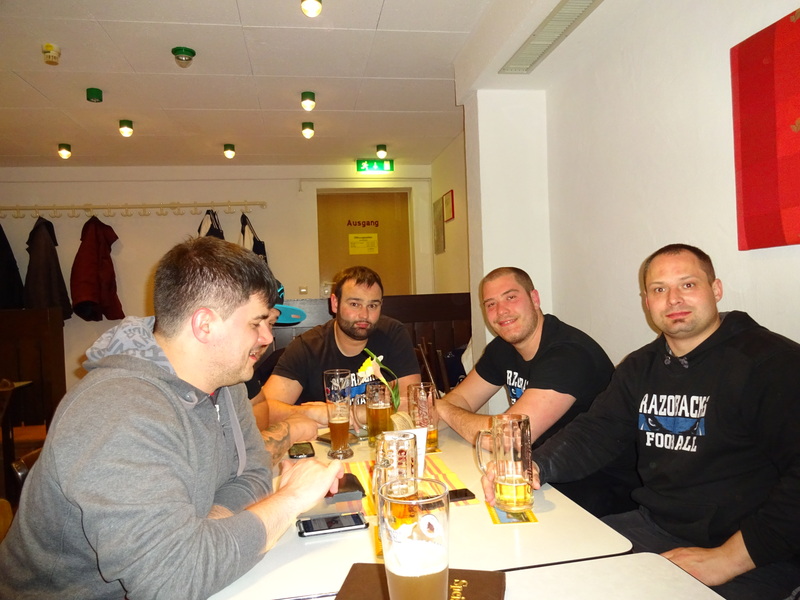 Razorback linemen after a long day in Albstadt. Sunday, after breakfast, team pictures were taken and more meetings were held before we loaded up and drove to Biberach for a scrimmage rematch with the Beavers. What a great way to end this busy weekend. Since I arrived in Germany we’ve been attempting to run a spread offense without an actual quarterback… a very important piece of the puzzle. With all respect to Joris and Borgi, (our German QB backups…both are very good receivers.) the missing piece was finally in place on Sunday. I’d been telling everyone, “Once we have a QB who can run and make correct reads, you’ll see what we’re trying to do.” Sunday we got a glimpse of this. Quarterback, Garret Colao ran well, threw well and, most importantly, usually made the right decision. We still made plenty of mistakes, but our line blocked well, our running backs hit their aiming points and our receivers ran good routes, threw good blocks and caught the ball. It was great to see. But now it’s time for the first test. Sunday, we host a pre-season game… or “Friendly” as it’s known as in Europe, for some reason. 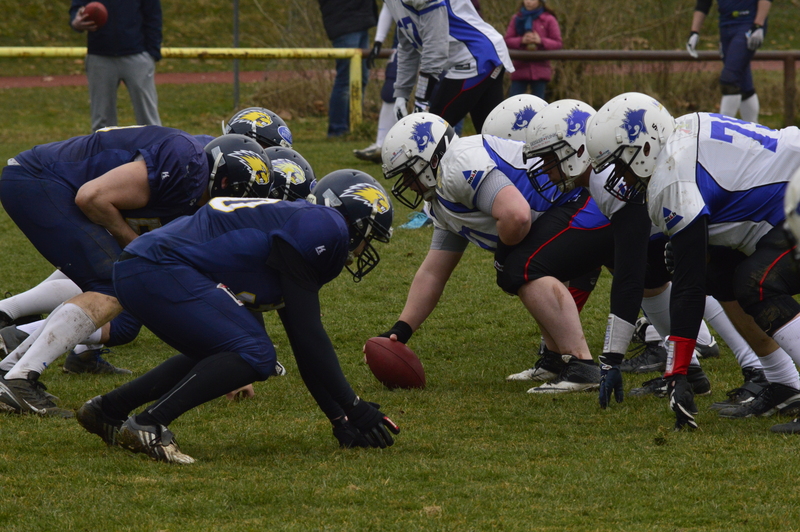 We will play the Holzgerlingen Twister, a former rival from the GFL 2. It should be fun… Stay tuned.